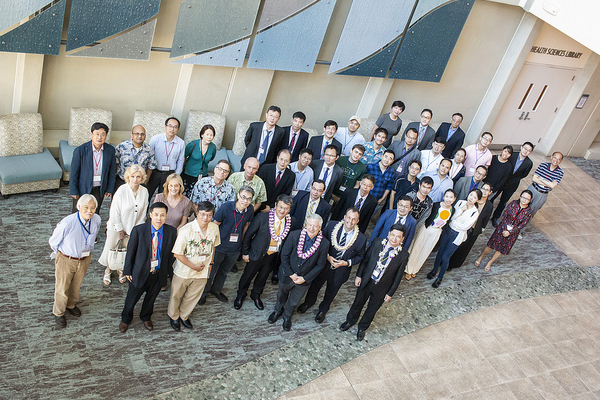 Pictured: Attendees of the 1st International Conference of Translational Medicine at JABSOM. Deborah Manog Dimaya photo. 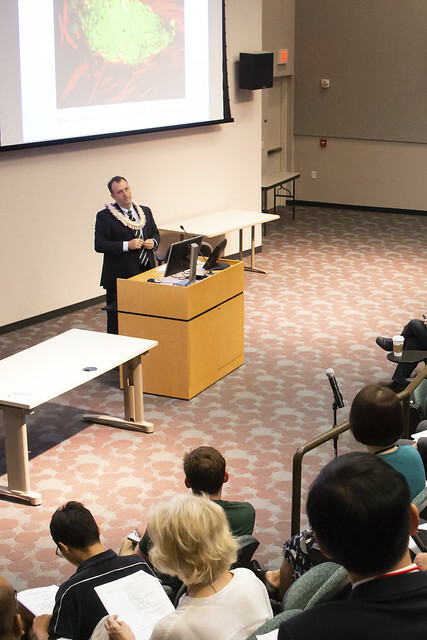 The 1st annual International Conference of Translational Medicine inspired the expression of high hopes for collaboration and scientific advancement by Hawai’i Lieutenant Governor Josh Green, MD, who welcomed the distinguished clinicians and presenters to the University of Hawaiʻi John A. Burns School of Medicine (JABSOM) on January 12. Dr. Green mentioned his personal support for the medical school and said the international forum provided a unique opportunity to promote cross-collaboration between physicians, physician scientists, basic scientists, academia, and industry from abroad to spark new ideas that will accelerate progress in health care. Dr. Jerris Hedges, Dean of JABSOM, also applauded the efforts of conference organizer Dr. Youping Deng, Professor of Complementary and Integrative Medicine (CIM). Both the Dean and Dr. Deng expressed their gratitude to the Hawai’i State government and the University for support in hosting the conference. The conference was divided into six sessions where researchers presented findings covering a broad range of areas such as translational oncology, stem cell therapy and regenerative medicine, reproduction, health, bone joint disease and therapy, artificial intelligence application in biomedicine, cardiovascular disease, diabetes, and respiratory disease, new drug development, and medicine and health. The distinguished clinicians and translational presenters were from United States, Mexico, China, and Korea. Among the speakers from Hawaiʻi, Dr. Peter Hoffman, professor of Cellular and Molecular Biology, described how Selenoprotein K acts as a novel intracellular target to potentially treat certain cancers. Dr. Katalin Csiszar, graduate chair within CIM, drew interest among attendees in the Clinical and Translation Research Graduate Program offered at JABSOM when she spoke about the flexibility of the Master’s program and the successful careers it has launched for its graduates. The keynote address during the two-day conference was given by Dr. Loic Le Marchand, a University of Hawaiʻi Cancer Center researcher whose work on obesity and cancer risk is recognized worldwide. Additional note: Dr. Deng asked that he be permitted space to thank his conference co-organizers Dr. Guo-Tang Xu (Former Dean at Tongi University School of Medicine), Dr. Gang-Ming Zou (Editor-in-Chief of American Journal of Translational Medicine), and his colleagues Dr. Richard Yanagihara, Dr. Richard Alisopp, Dr. Vedbar Khadka, Dr. John Chen, Tina Shelton, Melia Young, Deborah Dimaya and many other contributors and volunteers who made the event possible.